Alleged Radeon RX 3000 details leak: a $250 RTX 2070 competitor? Why it matters: With the launch of the RTX-series, all the talk about graphics cards has focused on Nvidia recently. But according to alleged new details, AMD is preparing to launch three cards of its own based on the 7nm Navi architecture. And unlike the green team, their best feature could be the price vs performance value. The news arrives via gaming technology channel AdoredTV, whose video covers both Navi and Ryzen 3000 details. According to the clip, AMD will announce the new cards at CES next month. These will be the Radeon RX 3060, RX 3070, and RX 3080—names that sound quite familiar. Given that the new Ryzen CPUs, which are also covered in the video, will use a similar 30xx numbering system, this has the potential to confuse, though it seems AMD cares more about copying Nvidia. The flagship RX 3080 will allegedly come with the Navi 10 GPU and 8GB of DDR6 RAM, boasting a TDP of 150W. Unlike its rival’s incredibly expensive top-end products, it will allegedly cost just $249. Its performance is said to be comparable to the RTX 2070, which costs around $500, while offering 10-15% better performance than the GTX 1080 and RX Vega 64. Moving on to the RX 3070; the card is apparently going to feature the Navi 12 GPU, have 8GB of DDR6, and a TDP of 120W. Its performance is supposed to be on par with the RX Vega 56 and GTX 1070, thereby competing with the unreleased RTX 2060. The price, meanwhile, is just $199. Finally, we get the RX 3060, which is also based on Navi 12, albeit a cut back version. It has 4GB of GDDR6 and a TDP of just 75w. The card is expected to perform similarly to the RX 580 and compete with the GTX 1060 and unreleased RTX 2050, all while priced at just $129. All of this is unsubstantiated information, of course, so taking with a grain of salt is advisable. 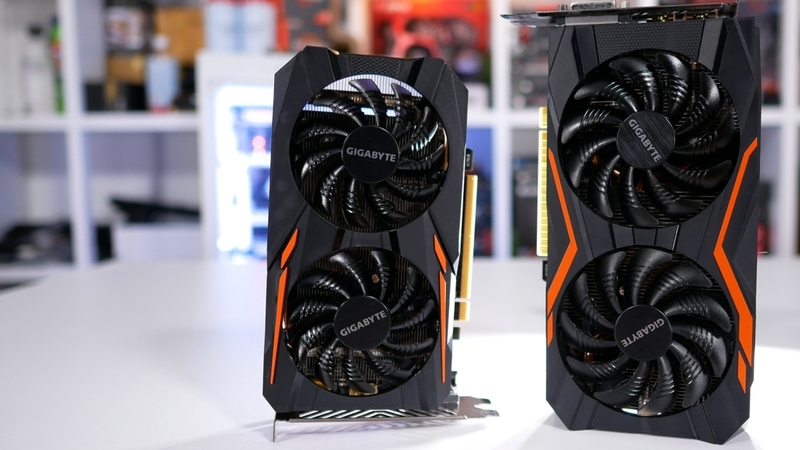 But AdoredTV did reveal that Nvidia’s latest card would be called the RTX 2080 long before its release, and given AMD’s strategy of offering value for money, these claims might not be far off the mark.